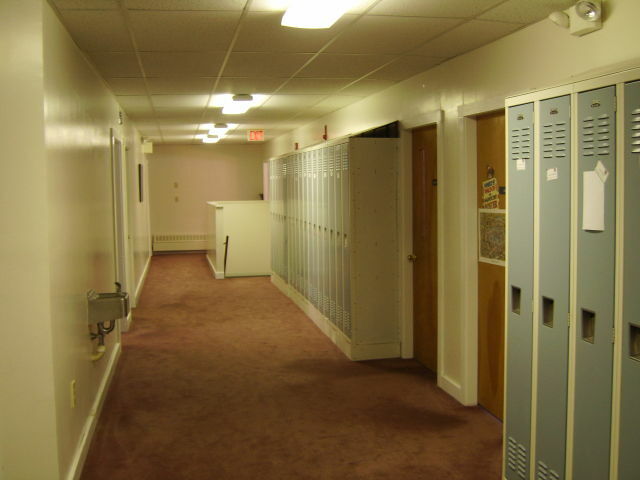 Kindergarten through the 12th Grade have the vast majority of their classes in this building. 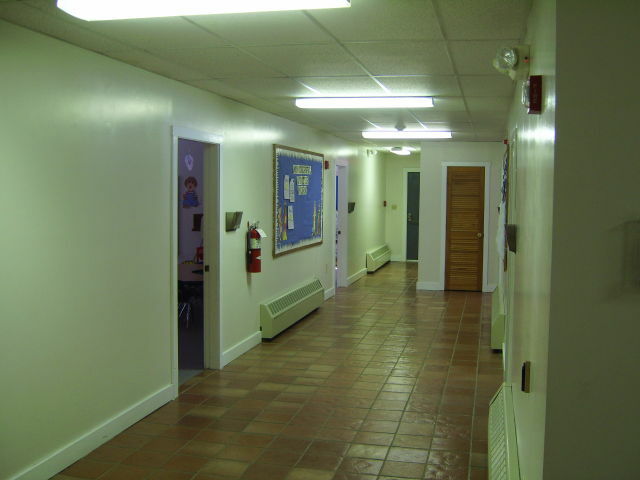 The Kindergarten through the 6th Grade classrooms are on the first floor; the High School classrooms are on the second and third floors. 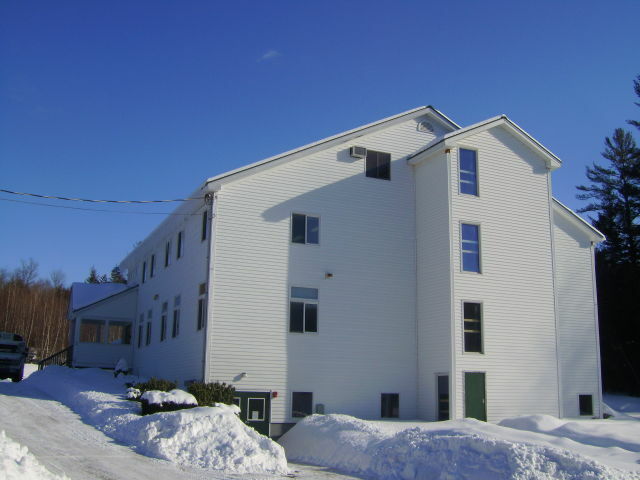 CCS can currently accommodate up to a maximum of 140 students in this building. 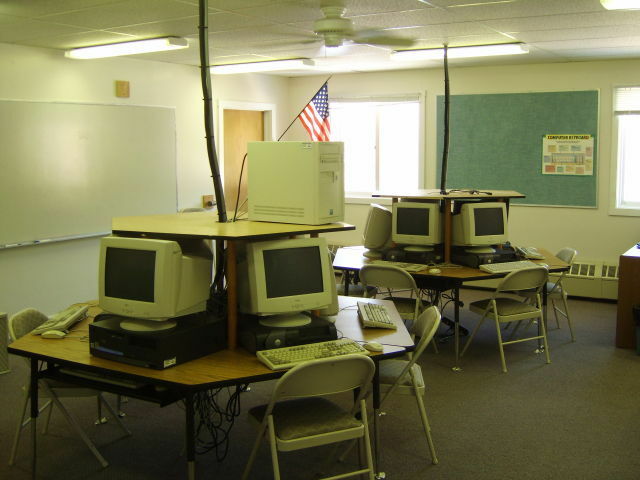 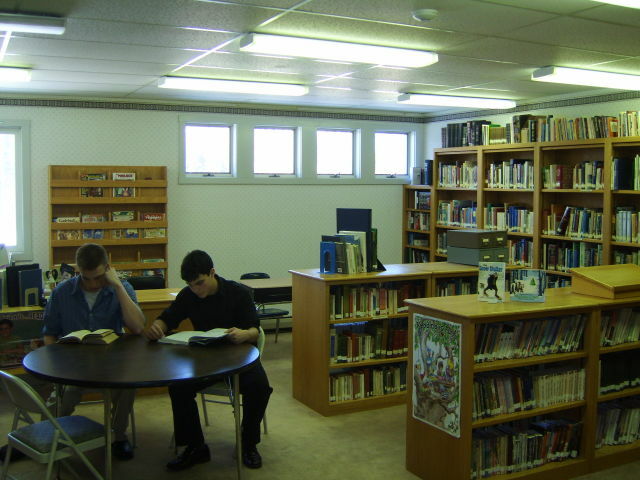 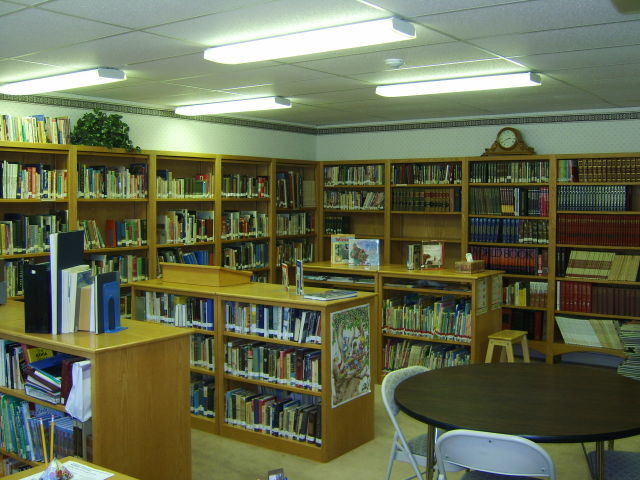 The Library and Computer Lab are located on the second floor and are accessible during regular school hours. 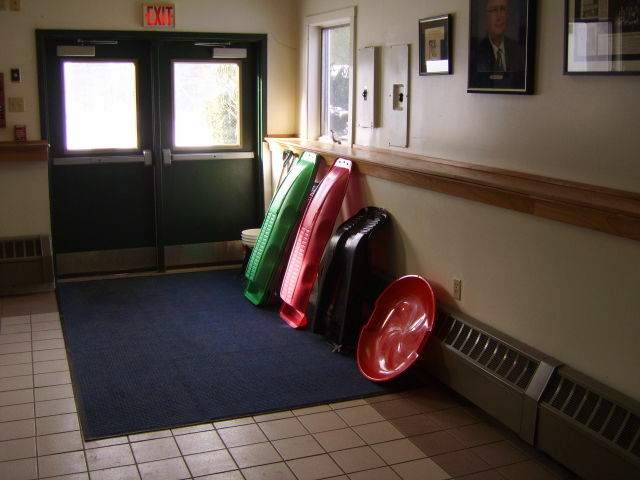 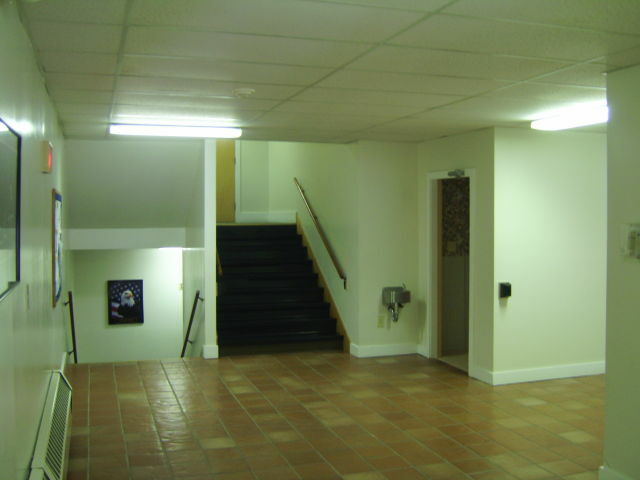 The building is fully compliant to all local building and fire codes. 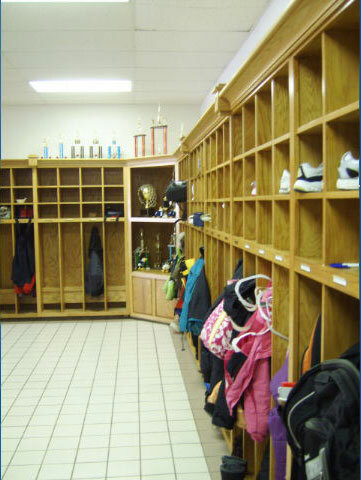 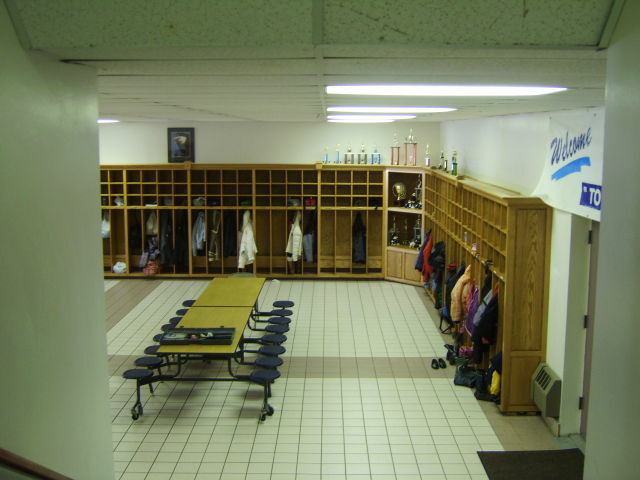 Click on the picture to the right in order to view more pictures of CCS. 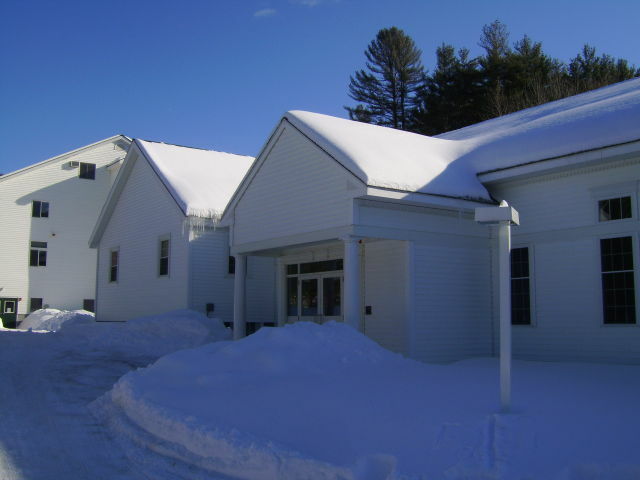 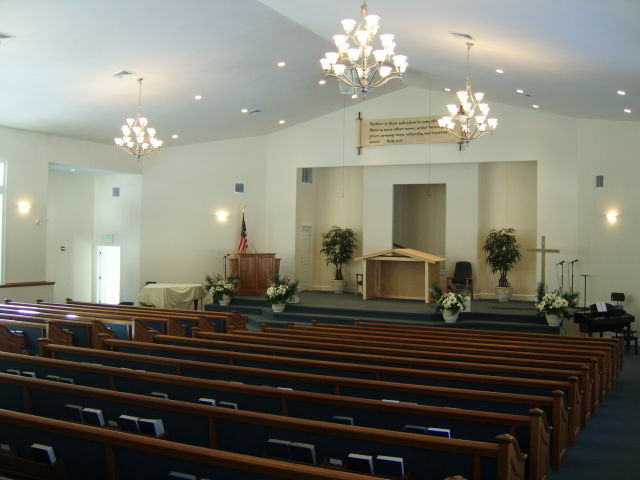 In this building, Calvary Independent Baptist Church has their auditorium, nursery, and Sunday school classrooms. 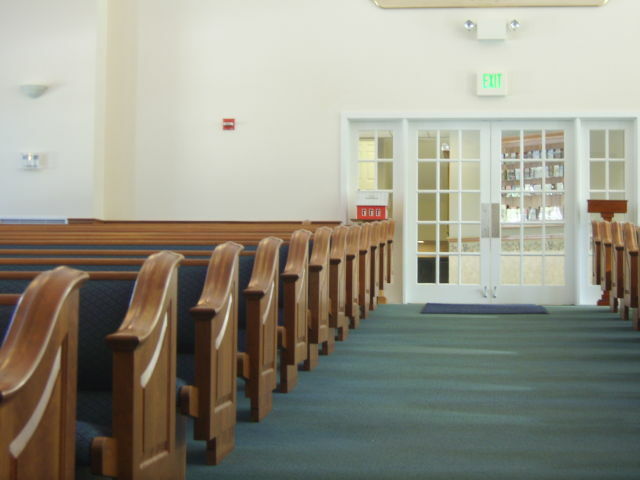 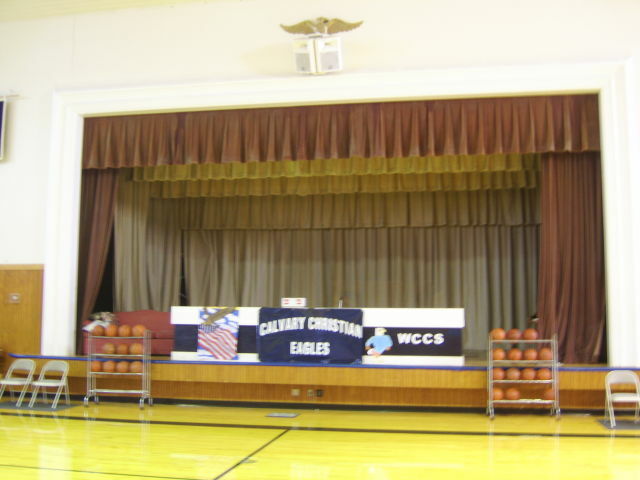 CCS uses this building for Chapel every Tuesday and Friday and also for Elementary music instruction and instrument lessons. 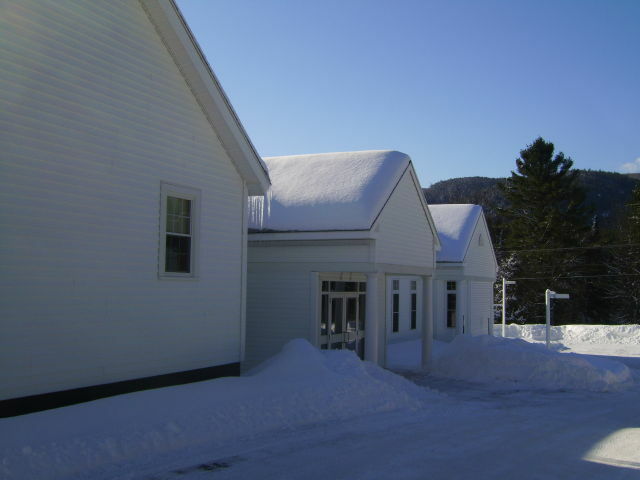 Click on the picture to the right in order to view more pictures of the CIBC Auditorium. 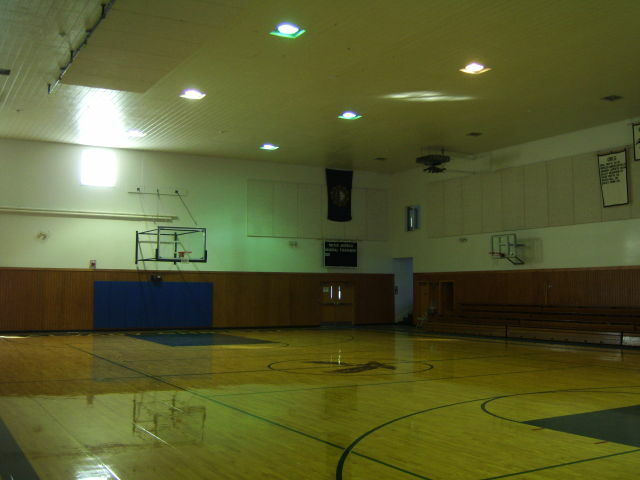 The gymnasium was completed in 1998. 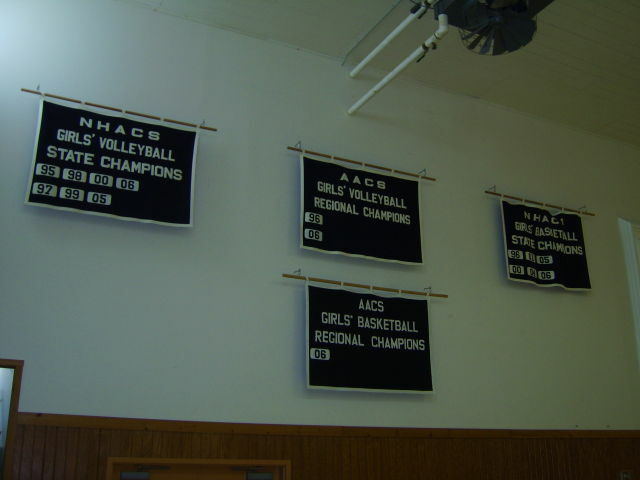 Since then, CCS has utilized this building for all home Basketball and Volleyball games, Physical Education, and many other special activities. 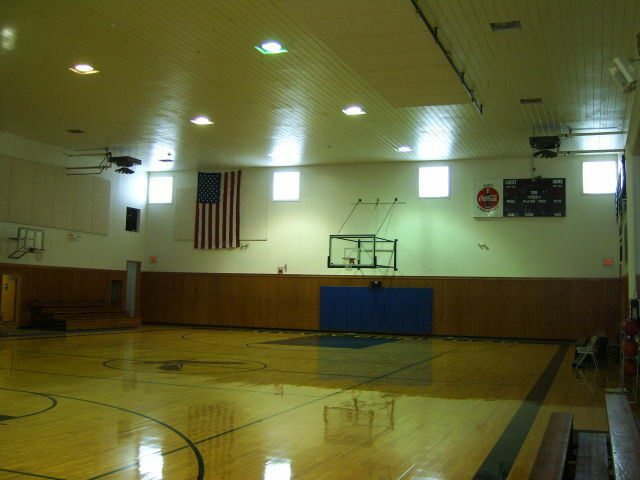 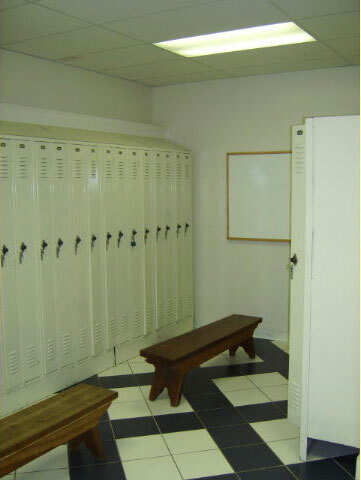 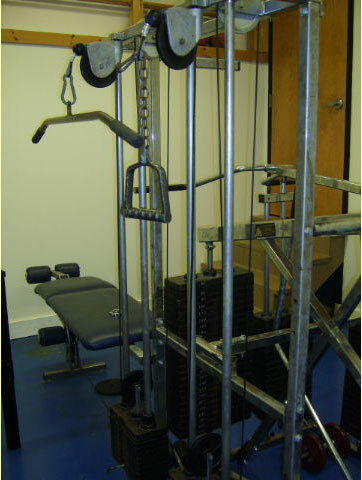 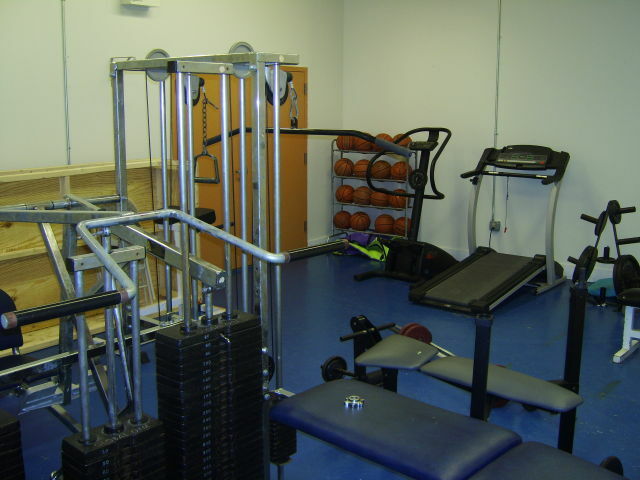 The gymnasium is equiped with full Men and Women locker-rooms, guest bathrooms, a wieght-room, and a fully functioning stage. 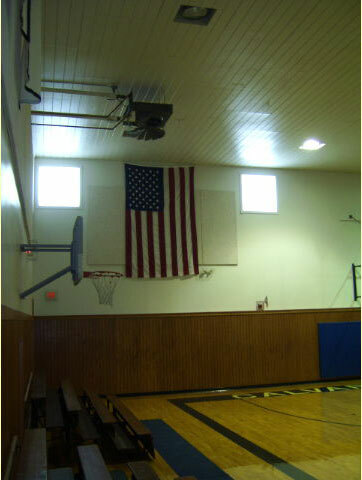 Click on the picture to the left in order to view more pictures of the Gymnasium. 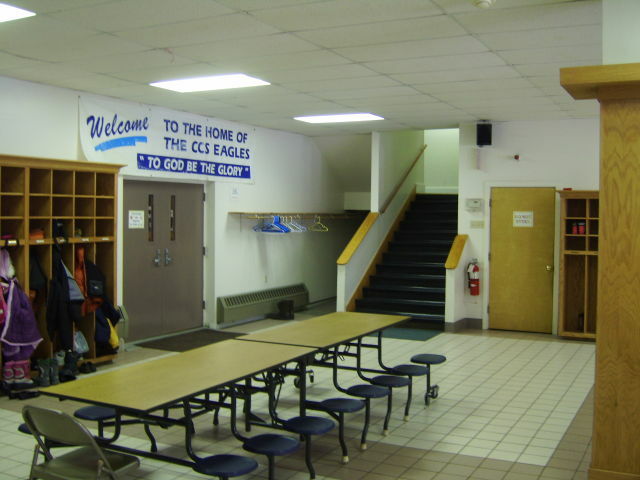 The Cafeteria is located on the lower level adjacent to the Gym. 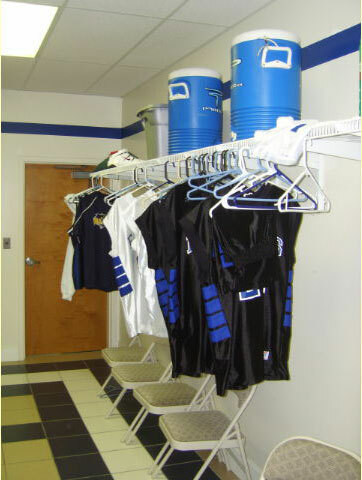 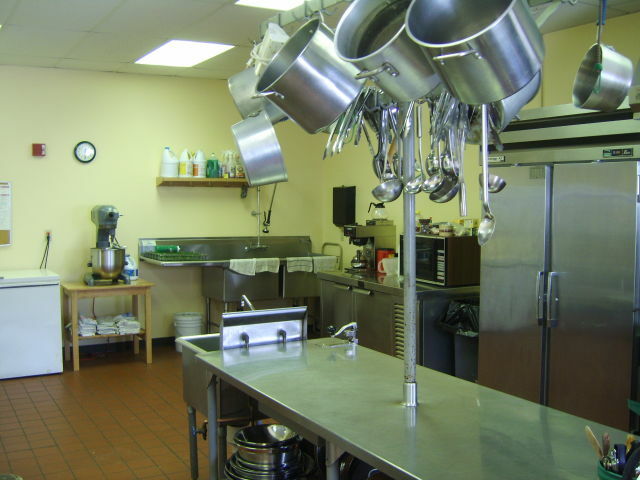 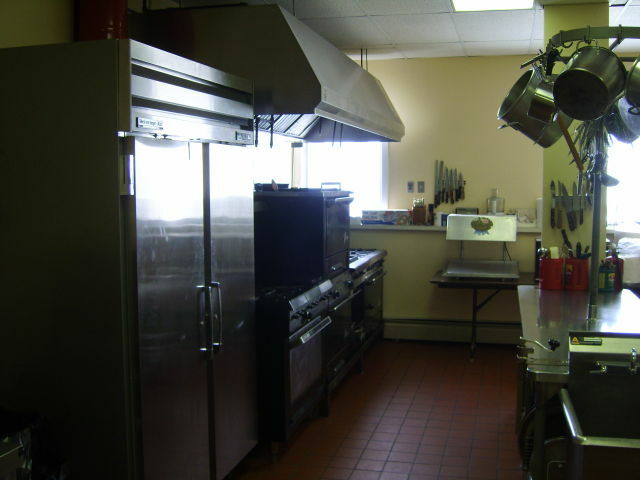 CCS is equiped with a commercial grade kitchen which is used weekly for lunch specials and during all home games. 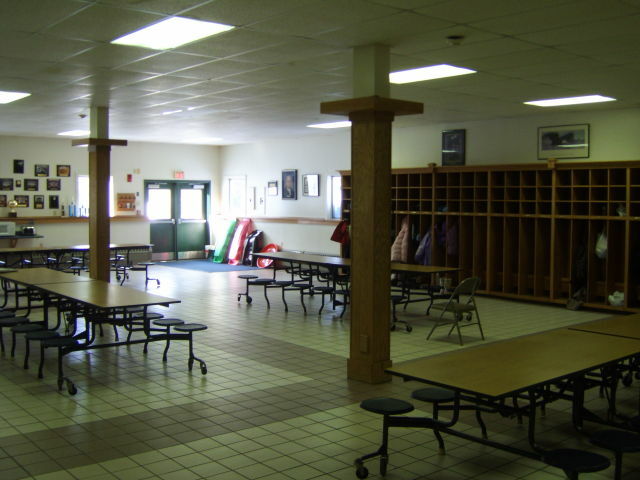 Elementary and High School students eat at different times. 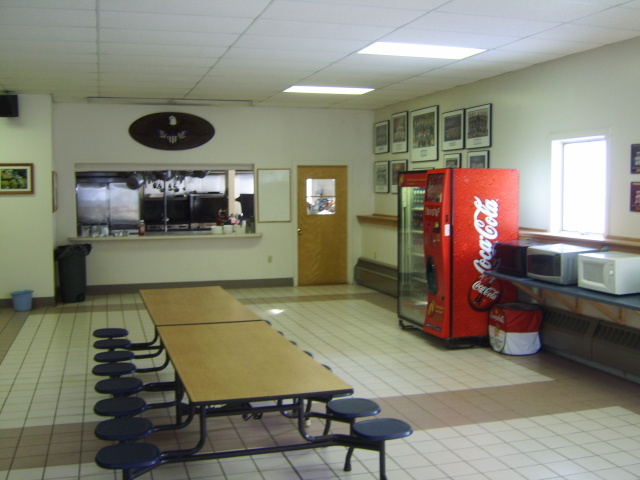 Click on the picture to the right in order to view more pictures of the Cafeteria. 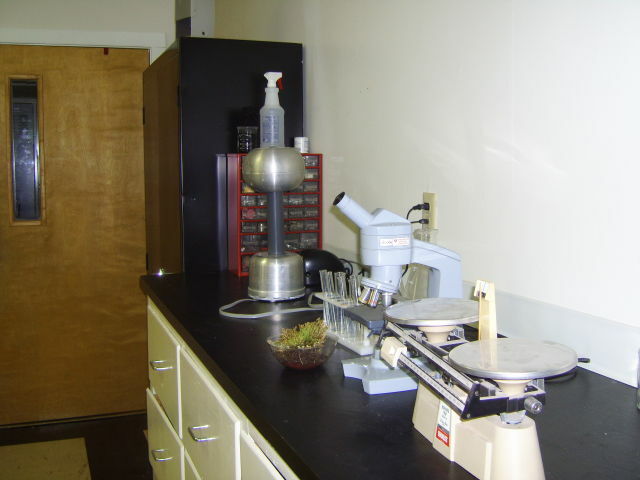 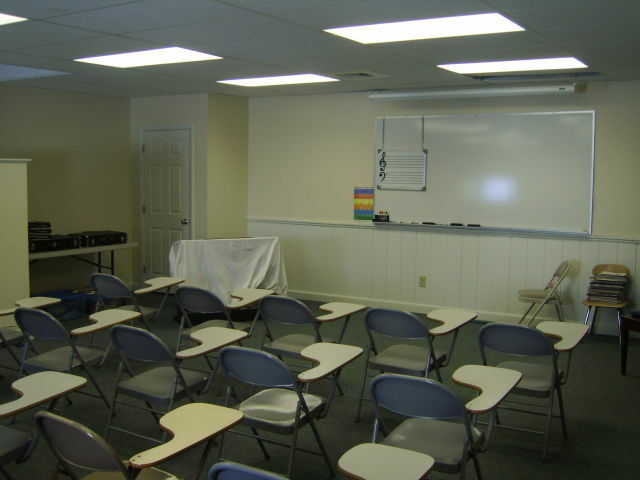 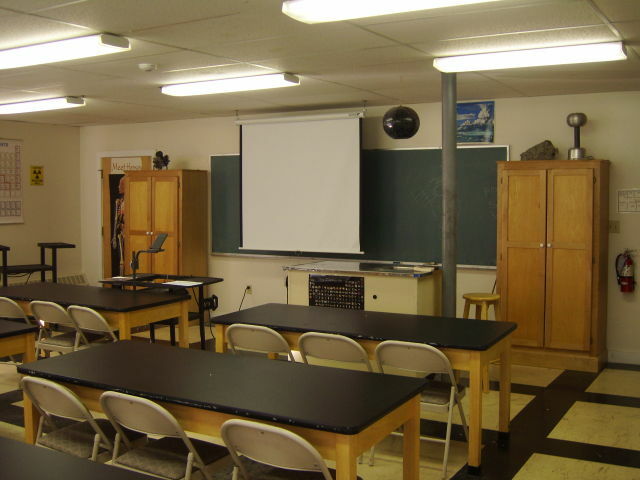 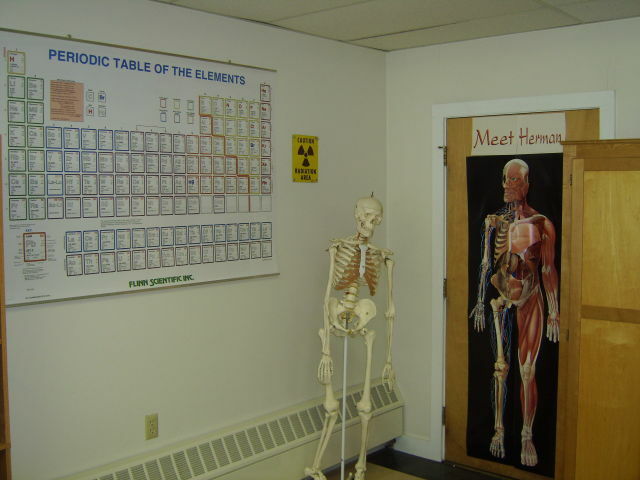 The Science Lab is equiped to allow students hands-on study of God's world. 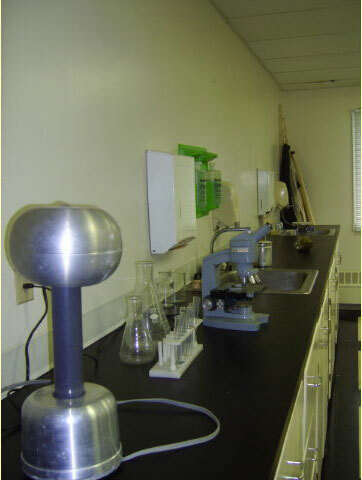 Click on the picture to the left in order to view more pictures of the Science Lab.